Policy makers seem to be drowning in a sea of buzzwords. This tendency seems particularly marked in “digital” initiatives. Digital, it seems, is the ultimate panacea for every problem. Our classrooms — in schools and universities — will soon be adorned with “digital boards”. These boards “will work on emerging technologies including Machine Learning (ML), Artificial Intelligence (AI) and Data Analytics and provide ‘Intelligent Tutoring’ to students based on their personal requirements.” ( Over ‘Over 1.5 lakh schools to get digital boards under scheme,’ IE, February 20)The deployment of this technology is expected to improve the quality of teaching-learning and also ensure that graduates are no longer “unsuitable for the requirements of the society and market”. That sounds quite a lot for a digital board to achieve. It is not even clear what this technology is because another report on “Operation Digital Board” says that these “digital or smart boards will be in the form of TV monitors, computers or projectors with user interfaces.” An estimated 7,000 to 1,0000 crore will be needed over three years, and apparently, all blackboards, in government and government-aided institutions, will be replaced by 2022. On the face of it, why would one not welcome electronic infrastructure into educational institutions? But questions do need to be asked: Is this money well spent? Do these digital boards address some outstanding bottleneck that is affecting teaching and learning in our schools and universities? The answer to both questions is a clear no. Consider, first, the actual problem plaguing schools. A walk through any of the Kendriya Vidyalayas (Central Schools) — which represent a segment that is “decently funded” by the central government — will reveal poor quality civil infrastructure, collapsing and in need of dire repairs. This includes rickety chairs and desks, falling and missing windows and cupboards, seeping walls and cracked floors, and often, broken blackboards. The existing state of electronic infrastructure — computers, a lone projector, a few printers — remains persistently pathetic on account of poor or zero maintenance. Even internet availability is intermittent and usually of poor quality. Then comes the problem of teacher shortage even in these schools. The data, reported publicly, indicates the severity of the problem — in some areas, the shortage is more than 50 per cent of what is sanctioned. The state of elementary schools is even more worrisome. 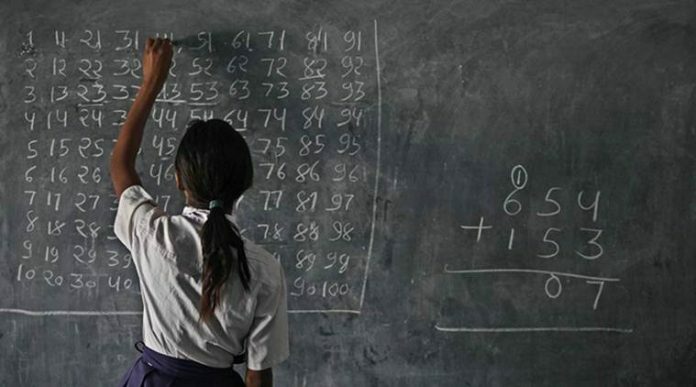 There are over 1 lakh schools with just one teacher. We need not even think of the state of these issues in poorer schools in urban and, of course, rural areas. These schools would be better served if their blackboards were repaired and the huge amounts of money sanctioned for digital boards be channeled into developing and repairing existing infrastructure, as well as on maintaining the sparse electronic resources already available so that these do not just rot away. In this scenario, any talk of personalised adaptive learning or the use of artificial intelligence and machine learning to provide intelligent tutoring sounds somewhat like asking students to eat digital cake in lieu of the unavailable basic bread. We are still grappling with regulations that should govern digital spaces, data privacy and security — what kind of student data will be captured, who will own and regulate it? It is very likely that these devices will fall into the same state of disrepair and disuse as many of the items currently deployed in schools. In the case of institutions of higher learning what demands is it fulfilling? The state of infrastructure in public institutions — except the top tier institutions (which already have enough digital infrastructure) — is also usually lamentable. Poorly maintained hardware, used occasionally when functional, lies around everywhere. The alleged problems of these institutions, such as outdated curricula, indifferent faculty, poor learning outcomes, lack of meaningful pedagogies, or unemployable graduates have nothing to do with digital technology bottlenecks. Faculty shortages are crippling the publicly-funded higher educational system, as well. The lack of interest, among students, in academic work arising from a conditioning produced by a combination of poor schooling, aggressive coaching and lack of appropriate jobs cannot be treated with any digital medicine. The digital fixation now pervades so much of public policy recommendations. Witness the brouhaha over how the Aakash tablet was to revolutionise learning, and more currently, how online courses will take care of all the problems linked to outdated syllabi as well as faculty shortages. And then of course there is the constant discourse on e-learning, smart tutorials and the like, that will breathe a new life into India’s educational systems. Education is not just about acquiring more and more information. What we need is more teachers and more institutions, everything else is just a supplement. Perhaps, a culture of consultation with stakeholders can help us to get over unrealistic fixations. Evgeny Morozov, in a critique of technological solutionism, in his book, To Save Everything, Click Here, warns us that, “the quick fixes it peddles do not exist in a political vacuum. In promising almost immediate and much cheaper results, they can easily undermine support for the more ambitious, more intellectually stimulating, but also more demanding reform projects”. For policy-makers, the most important question that must always be answered for such projects — it was asked in the context of the One-Laptop-Per-Child project — remains: “The real question isn’t whether laptop programmes help students, but whether they’re more effective than other programmes competing for the same money.” Are we, therefore, hurting learning and teaching by diverting funds from blackboards to digital boards?